The Ripple trading review in front of you has an aim to provide the latest information regarding the crypto’s trading development. We go over the market’s current situation in terms of available Ripple tools, softwares, platforms, instruments, and regions. We also have general articles on all these topics like crypto trading tools, crypto trading instruments, crypto trading platforms and so on. Ripple does not hold support as Bitcoin, Ethereum, and Litecoin do. On the other hand, its market presence increases over the period, jumping in several new markets. Right now, there are several tools for you to use, them being APIs, bots, charts and other platforms. Ripple-based API: the blockchain team behind it revealed open-sourced API tools for anyone to use. Currently, the APIs available are made to accommodate a certain or group of trading needs. 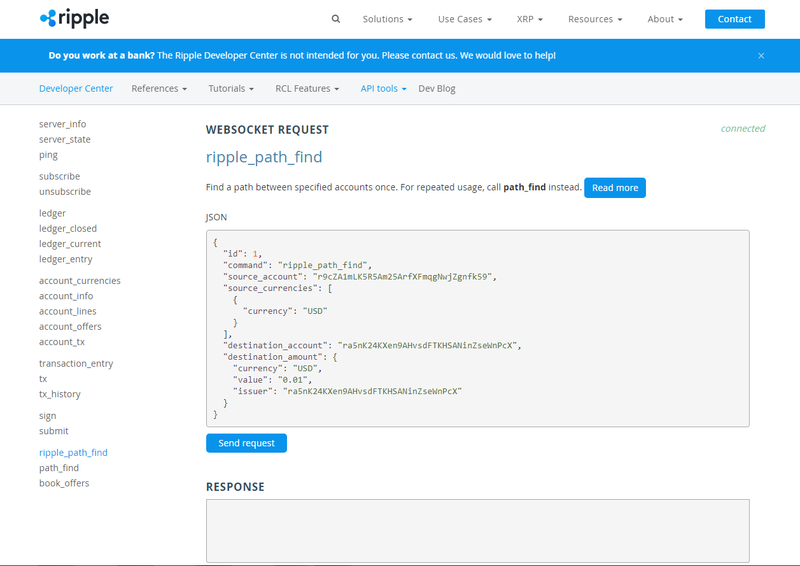 You have WebSocket tool, RPC tool, Text Validator, DATA API Tool, and Ripple Test Net. Each of these harbors different goal, thus leaving you with the flexibility to use. However, they are concerned with XRP blockchain only and cannot be used in exchanges, as seen below. Haasbot: The platform operates with numerous cryptocurrencies, Ripple included as well. The API tool offers several bots, usable in almost all major exchanges, touching upon all those that support XRP. There are 14 different bots available for you, each being part of a specific plan. These are not free to use and are available through purchase of the specific plan. Trading View: Charts are immensely important when the analysis is in question and Trading View does a wonderful job in terms of chart analyses. The platform allows you to create your own charts that take data from several major trading platforms. You can also include indicators, lines and change the look of the chart to better suit your needs. CoinMarketCap: Finally, we have a website that offers completely free service though not much can be customized, unlike with Trading View. The platform offers latest numbers, trends and information reading all cryptocurrencies, Ripple being part as well. It is also one of the most cited places in crypto research as its data is regularly updated. Ripple does not have many softwares that promote trading it. However, there are few major platforms that do, one of them being Haasonline. Haasonline: As mentioned before, Haasbot is part of the overall Haasonline platform where bots and API tools come as part of the plan. There are three overall plans available for purchase, them being Simple, Beginner and Advanced contracts. Each differs in terms of available bots, APIs, support, insurances and other features. Ripple does not have the support that Litecoin, bitcoin, and Ethereum enjoy. Nevertheless, due to banks’ support, it is listed in many major exchanges, them being CEX.IO, Binance, and Bittrex. CEX.IO: The platform started out as a first-ever cloud mining service provider when it only started out. Now, you have both exchange and trading platforms available. CEX.IO, apart from bitcoin, Ethereum and Litecoin, also offers Ripple trade functions for verified users. Service is available globally and fiats are accepted (USD and EUR). Overall, you have three pairs with XRP while available functions are Limit, Market and Margin Trading (Leverage included – 3x). You can check out the platform in the picture below while our guide CEX.IO review. Ripple currently does not have a futures instrument available for traders but the situation seems to be changing right now. Taking into account crypto news, it seems that Crypto Facilities intends to introduce futures contracting for Ripple traders. Swaps are already established within the market, what with Bitfinex and several other platforms like Binance and Bittrex. Futures, on the other hand, are quite important development for the coin. Having an option to set a predetermined price at a specified time will definitely help the crypto to enlarge its user-base. For further reading we recommend, crypto trading instruments. Ripple stands at the same ground as other cryptocurrencies. The government bodies, when creating policies for the industry, do so regardless of the coin. Thus, tax implications, insurance, and bans affect Ripple equally as they do bitcoin and Ethereum. However, what puts Ripple at advantage is the fact that crypto is meant for banks’ usage. Increasing number of banks that use the blockchain’s services to provide a good point for the coin to push itself over its competitors in some regions, China especially. Shorting Ripple is possible using all four major trading strategies, them being margin trading, futures/swaps contracts, binary options, and prediction. More importantly, almost all trade platforms allow binary options and prediction. Some allow swaps and margin trading while futures contracts are a category that is yet to be established. Unfortunately, the said support is a lot smaller than for bitcoin, due to its smaller popularity and acceptance. In this Ripple trading guide, we analyzed current situation the market and provided choices for traders to take up. Overall, Ripple does not have as nearly big support as other, large coins such as BTC, ETH, and LTC. Moreover, available APIs and tools are not as numerous as these cryptocurrencies due to rot smaller market acceptance. However, Ripple positioned itself as banking blockchain. The network is building with futures contracting on the horizon. Thus, we expect an increase of the acceptance in the near future.